No need to worry, having a VocalBooth will allow you to do what you need without sacrificing volume. 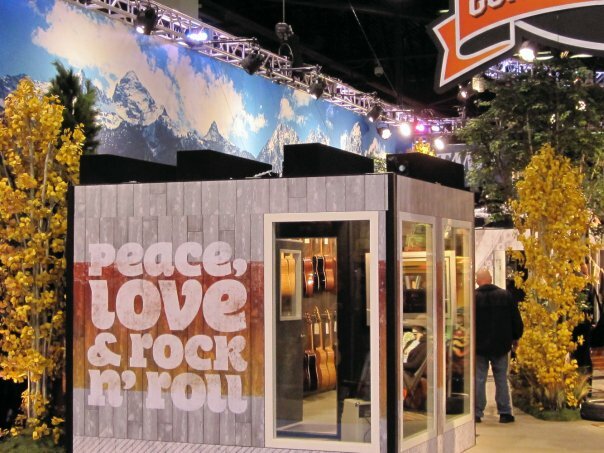 If you need a quiet place to conduct business at a trade show—a VocalBooth will provide that too. If you need to separate your new products from the noisiness that is a trade show floor, look no further. VocalBooth.com has worked hand-in-hand with some of the biggest names in the industry to provide custom rooms for proper presentation of their latest products. Custom rooms up to 16' x 24', enhanced ventilation/ air condition, and custom exteriors/ interiors are some of the options we offer to enhance your trade show appeal. For additional information on designing your next trade show booth feel free to contact us using our contact form or calling 541-330-6045.